A daily basic, revitalised with a fresh, fun print by Hattie Stewart. 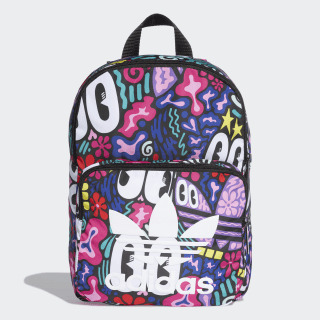 A colourful collaboration with London illustrator Hattie Stewart, this vivid backpack is splashed with her original graphics. 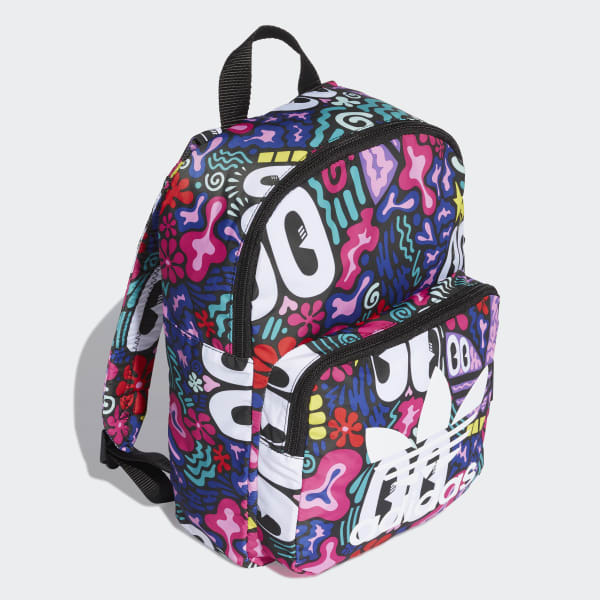 The roomy design includes a front zip pocket for small items. A large Trefoil logo adds the finishing adidas touch.